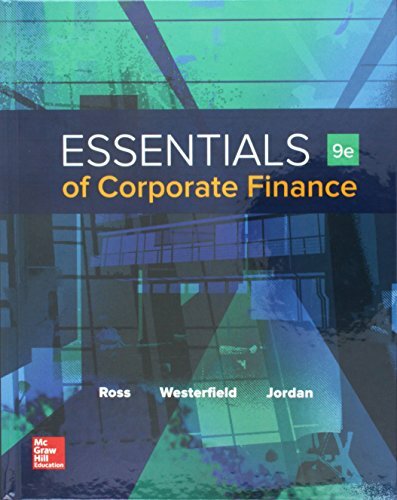 1259697452 -Essentials of Corporate Finance by Ross, Westerfield, and Jordan is written to convey the most important concepts and principles of corporate finance at a level that is approachable for a wide audience. The authors retain their modern approach to finance, but have distilled the subject down to the essential topics in 18 chapters. They believe that understanding the “why” is just as important, if not more so, than understanding the “how,” especially in an introductory course.